Samsung Galaxy S Duos Switch Off Automatically Again and Again? What is the Solution for it? Samsung Galaxy S Duos Switch Off Automatically Again and Again? 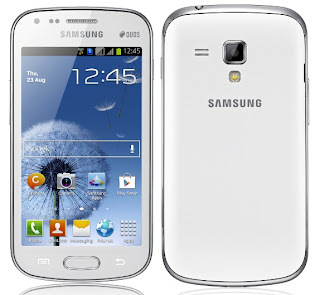 If you have a Samsung Galaxy S Duos GT S7562 mobile phone and getting problem of switching off your mobile again and again then from here you can get some solution. What is the Solution for it? 3) Install Android Booster in Your mobile phone. 4) If your are getting this problem again and again then go to Samsung Mobile service center as soon as possible. Hope these tricks will solve your problem. How to Exclude Your Own Traffic in Google Analytics? You can exclude your own traffic by making filters in the Google Analytics. You can create filters at the account level, and then apply them to one or more views. Here is the simple and step by step guide for excluding internal traffic. 1. Select your website in Google Analytics. 3. Click on the website as shown in the below image. 4. Click on ‘Filers’ as mentioned in the image. You can choose Predefined filter. 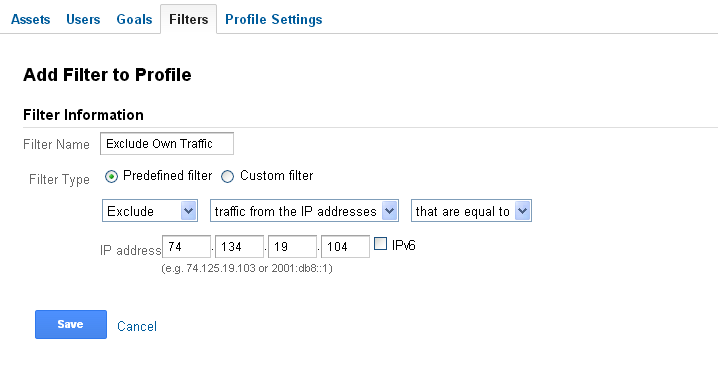 Select the option ‘traffic from the IP addresses’ and click on ‘Save’ button as shown below. For example, if the single IP address is 176.168.1.1, then enter 176\.168\.1\.1. Remember to use regular expressions to enter an IP address. Hope, these steps will clear your all doubts for excluding your own traffic. If you have any doubts then you can comment here! The Bacon number of an actor or actress is the number of degrees of separation he or she has from Bacon, as defined by the game. This is an application of the Erdős number concept to the Hollywood movie industry. The higher the Bacon number, the farther away from Kevin Bacon the actor is. 1) Kevin Bacon has a Bacon number of 0. 2) Those actors who have worked directly with Kevin Bacon have a Bacon number of 1. 3) If the lowest Bacon number of any actor with whom X has appeared in a movie is N, X's Bacon number is N + 1. Elvis Presley was in Change of Habit (1969) with Edward Asner. Edward Asner was in JFK (1991) with Kevin Bacon. I think it is one of the funniest mail, I have seen, actually I was reading Matt Cutts blog and found this interesting post. Really very funny! I was on your website www.google.com and wanted to shoot you a quick note. I think I can make a few changes (aesthetically and/or SEO – wise) to make your site convert more visitors into leads and to get it placed higher in the organic search results, for a few of the select terms. This is NOT like one of those foreign emails you probably get in your inbox every day. Just to be upfront I have 3 agents that work with me for development /SEO. I would just need to know which (if not both) services you’re open to checking out information about, either web design or SEO. Would you be open to seeing more brief info / quote for what I would like to accomplish? 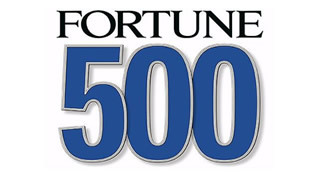 Fortune on Monday released its Global 500. You can check list of top 50 companies as mentioned below. In this list Samsung is at 14th Position and Apple is at 19th position. If you are using Google+ account then you will notice Google introduced a new bell account for Google+ notifications. 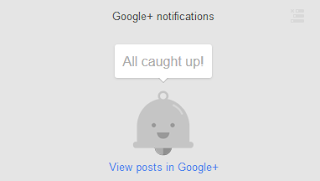 Did You Notice New Bell Account for G+ Notifications? You can see new bell account notifications for G+ by checking your Google account, which will be look like as mentioned below. 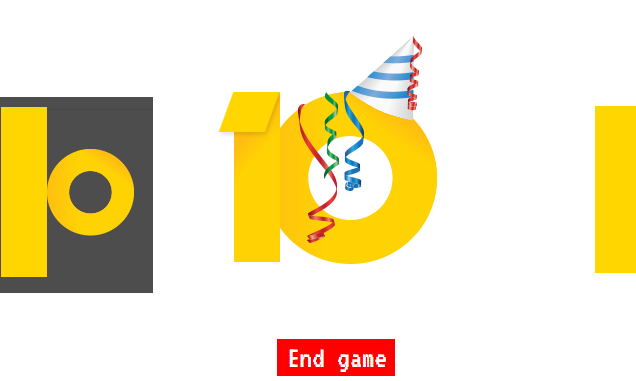 Play Game in Adsense - Google Adsense Celebrates 10 Years! 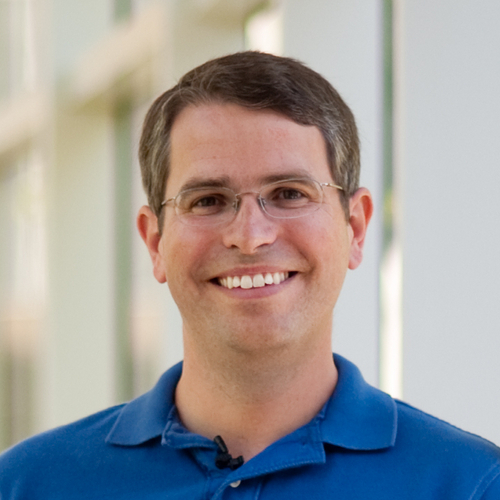 Google Adsense Celebrates 10 Years! If you are a user of Google Adsense then you might be aware of Google Adsense celebrates 10 years. For more celebrations Google launched a game in Adsense Account. Today, when I logged in to my Adsense account I found Google launched a very good game, the game is very good to play. I just played the game and found interesting. Hurry! Log on to your Google Adsense account and play this game. How to Integrate Forum with Wordpress Blog ? What is bbPress Forum ? What are the Requirements for Adding bbPress Forum in Wordpress ? How to Change Font Style and Font Size of Your Blogger Description for New Blogger Templates ? How to Add Author in Blogger for Guest Posting ? Logo1w - What is logo1w in Google ? Why Google give the Logo image name as logo1w ? Facebook Individual Member Can Add Up To 5000 Friends and Pages in Their Profile - Can I Add More Than 5000 Friends in My Profile? I am a professional blogger, Search Engine Optimizer, Research and Developer in Internet and software engineer. I want to spread my knowledge all over the world. This blog is dedicated to those who want to learn new concept in technology. Latest updated news related to Google, Yahoo, Bing, Search Engines can be found here. Blogging Alerts is How to Blog ? providing updated information related to Search Engines, Programming Concepts, Internet Marketing Tips and Technology News all at free of cost. 2011 @ www.bloggingalerts.com. Powered by Blogger.